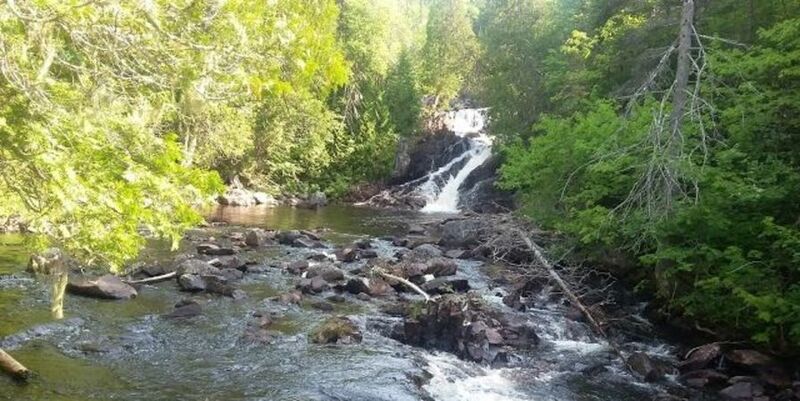 View the cascading waters as they plunge over the rock ledges of Rainbow Falls on their way to Lake Superior. Hike the trails which lead to panoramic views of Lake Superior and Whitesand Lake. The Rainbow Falls Trail located within the park is part of the 52 km Casque Isles Trail section of the Voyageur Trail that runs between the communities of Terrace Bay, Schreiber and Rossport.